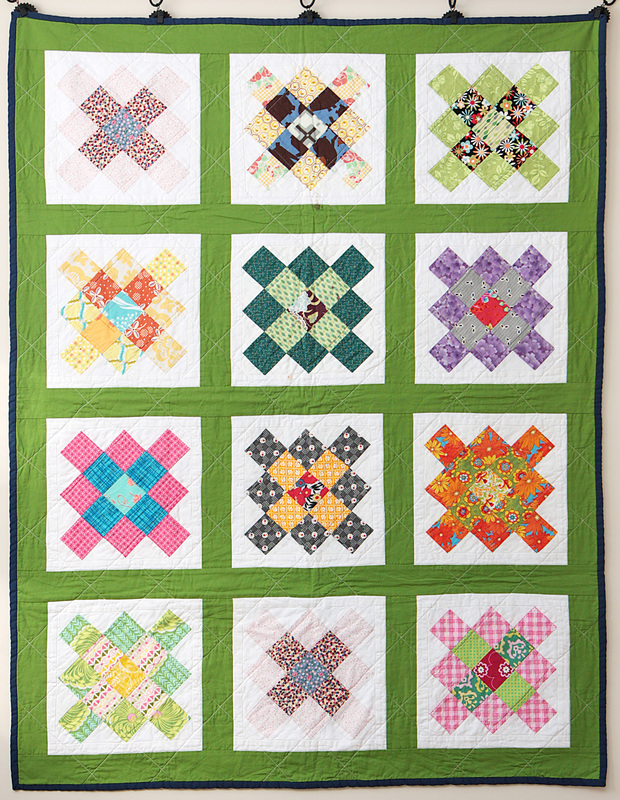 The Minneapolis Modern Quilt Guild had a block swap (we called it a “cookie exchange”) with these cute granny square blocks. Each person made a multiple of 12 blocks, and then brought them to a meeting (this way it was easy to strip piece 12 identical blocks). At the meeting, we swapped blocks so that everyone went home with all different blocks. It was a great way to get a variety of blocks pretty quickly! Unfortunately, not all the blocks I received were the same size (as is the norm for bees and swaps), so I bordered each block with white and trimmed them all to be the same size. This quilt was donated to charity.